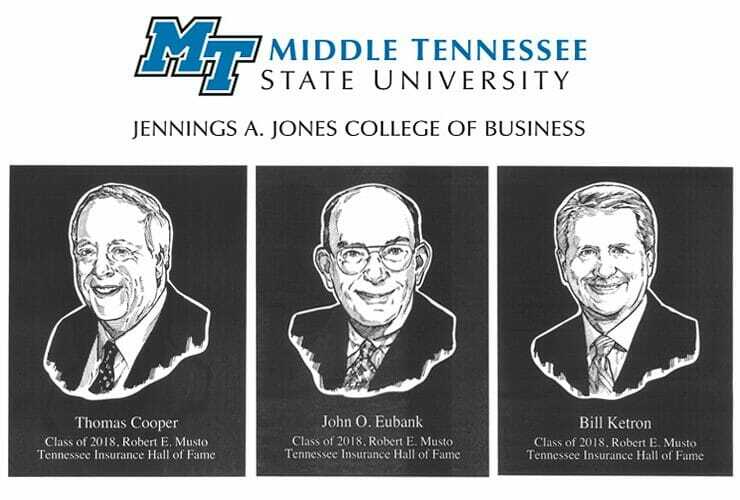 MTSU’s Jennings A. Jones College of Business again honored a group of business people with special awards in recognition of their contributions to business and industry. 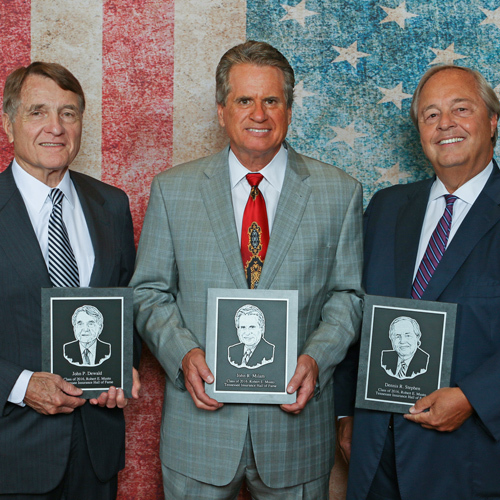 The..
Three longtime insurance professionals are the latest inductees into the Robert E. Musto Tennessee Insurance Hall of Fame at Middle Tennessee State University. This year’s..
As president of the MTSU chapter of the Gamma Iota Sigma insurance fraternity, senior Cierra Baker of Athens, Tennessee, can quickly rattle off the benefits..
Producer/Host: Gina Logue Guest: Professor Mark Hall Synopsis: Mark Hall, the Turnage Professor of Law and Public Health at Wake Forest University School of Law and..
Joe Bales, center right, vice president for development and university relations at MTSU, accepts a donation of $1,500 for the Martin Chair of Insurance Program..